Powell's Chapel will celebrate its 141st anniversary in July 2016. This is third of a series of blog posts to highlight the rich history of Powell's Chapel and its impact on the local community. For cooling this large room, all six windows were raised. . . . As for heating, a large, pot-bellied stove stood in the center aisle, half-way between the door and the pulpit. When this huge stove and about two joints of the long pipe which extended through the ceiling and roof was red hot, should the preacher, who came only once a month, choose to preach on the Hebrew children in the fiery furnace on the final abode of the wicked, he had a ready illustration for his sermon in this central heating system. He also recalls that the seating arrangement segregated the congregation by gender. Men sat on the left while women sat on the right, and the custom continued until the early 1920s. Barrett also tells of the church décor during the era: “On the pulpit stand three articles were ever present—large Bible, pitcher of water, and glass. The pastor read from the big Bible, the water was for relief of the raspy voice which generally developed near the close of a one or one and a half hour sermon.” The glass the pastor used to soothe his parched throat also served as the communion cup where the entire congregation shared it to partake of the wine during the Lord’s Supper observance. This building lasted until 1929. Powell's Chapel will celebrate its 141st anniversary in July 2016. This is second of a series of blog posts to highlight the rich history of Powell's Chapel and its impact on the local community. "At one of the mid-week services a visitor of another faith was in attendance. The service took on the semblance of a debate between the leader of the service and this visitor. As the discussion warmed up, this man put his left hand to his face gave the victory sign and ejected a sizeable quantity of tobacco juice between his raised fingers which splattered on the floor there in the altar. This man, if alive today, wouldn’t be any slouch in competing in the National Tobacco Spitting Contest." One way Powell’s Chapel and other Baptist congregations in the 1800s sought to lead their members to a higher standard of moral conduct was through the establishment of Sunday Schools. Southern Baptists emphasized Sunday School. They viewed it as a way to provide religious instruction for members and serve as an outreach tool for the local community. 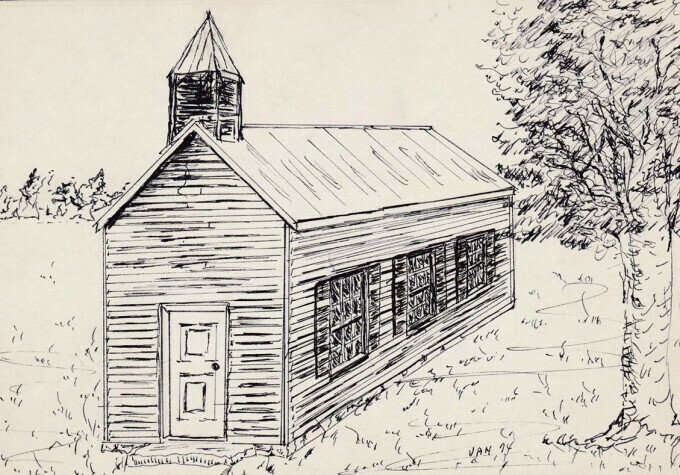 Powell’s Chapel started its first Sunday School in 1883 with W. P. Henderson serving as superintendent. “All classes met in one room, and the sanctuary, and continued to do so, except for some two years when it met in the school house.” Sunday School has continued uninterrupted at Powell’s Chapel from 1883 to the present day. By 1890, Powell’s Chapel was well established in the local community. Although the minutes from 1885-1908 are lost and little is known about those years, the church did continue to grow. A chronological register of members shows people from the local community continued to join the church. The yearly statistics for 1897, the last report available for in the nineteenth century, reveal that total church membership was 134, an increase of 112 from the twenty-two pioneers who helped start the church in 1875. Fifty-eight people were enrolled in Sunday School with an average attendance of thirty-eight, a robust number in a small, rural community. While some members were lost to death and others joined other denominations, Powell’s Chapel continued to add to its numbers as it entered the 21st century. 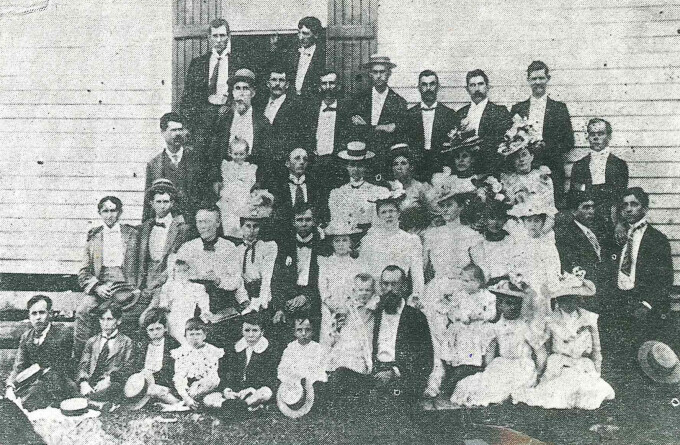 Photo: Earliest known photograph of Powell’s Chapel Baptist Church Sunday School, circa 1900.